With the rapid development of mobile internet, the Android mobile phone terminal is becoming more and more powerful, and the virus is rampant. While enjoying the convenience of new technologies, we must also face the risks involved. If your Android phone has a low safety factor, once infected with the virus, it will lead to a series of security issues such as personal privacy disclosure, mobile phone cotton, account theft, transaction data leakage, malicious deduction fees, etc. So what if your Android phone is infected with the virus? Don’t worry! Next, I’ll show you three efficient method to help you remove the virus from Android phone quickly. Almost all Android viruses originate from applications installed on mobile phones. You can download an Android antivirus tool, like Virus Cleaner, Avast Antivirus, AVG Antivirus, Norton Security and Antivirus, Antivirus and Virus Remover, Antivirus Android, Clean Master, Security Master, etc. from Google Play Store. When you download and install an App on your phone, the Antivirus will scan and remove virus & malware from Android phone automatically. 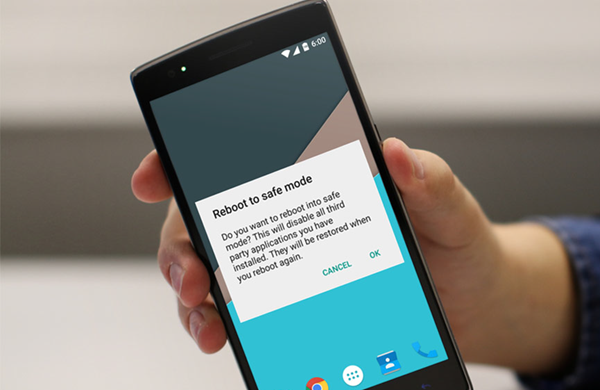 Press and hold your phone’s Power button for a few seconds to access the Power Off option, then tap and hold the Power Off button to bring up an option to reboot into Safe mode. After that, you can go to Settings and visit the subsection of the app. From here, you could see the list of installed applications, which also contains malware applications. You can select the malware from the list and click on it to enter the management page, then hit “Uninstall” to remove the virus from Android phone. A factory reset, also known as formatting or hard reset, refers to resetting your device to its factory settings. This will erase all your files, including accounts, contacts, messages, photos, music, videos, virus-loaded applications and so on. Therefore, it’s vital to make a backup of your data before performing this operation so that you can recover deleted data from Android after factory reset. As for how to remove a virus from Android via factory reset, you can follow the steps given below. Make sure your Android phone is fully charged and connected to a WiFi network. Go to Settings > scroll down and select Backup & Reset > check Back up my data and Automatic restore, then tap Factory data reset > Reset device > Erase everything. When finished, all your data, including malware, will be wiped from Android. Tips: It is very easy and fast to remove the virus from an Android phone by restoring the factory settings. However, the above steps are only for most Android users, and the specific steps vary from phone to phone. 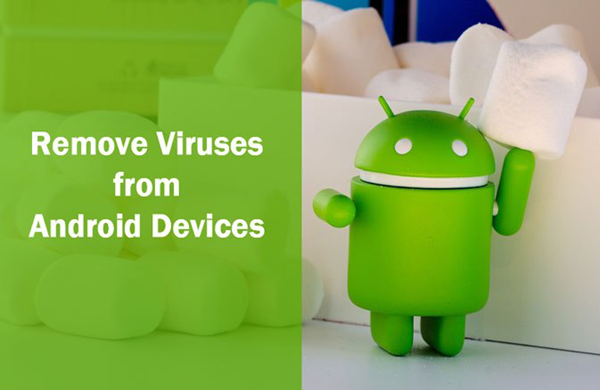 Although there are a lost of antivirus for Android on the market, the best way to protect your phone is to prevent it from being infected with a virus rather than remove the virus from Android phone. Have no idea of how to avoid virus from Android? Take it easy! 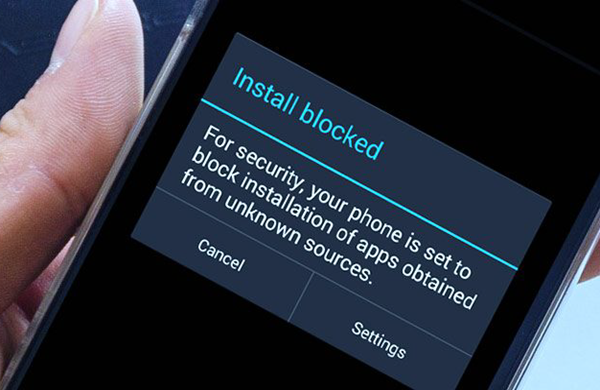 Here are some methods you can use for staying away from Android viruses. Do not install apps from unknown sources. If necessary, you can install the Android app from the Google Play Store, which regularly checks for malware and privacy issues. Do not click on any suspicious link. Whether in life or work, we always receive a variety of links. You should curb your curiosity and don’t just tap into it, because the link may lead you to a virus-infected website. Do not connect your phone to unsecured wireless networks. These networks can join without a password, so anyone can connect to your device and infect it with a virus in case you don’t know about it. Numerous individuals complain that they lost a lot of files after their phone are infected with the virus. It is indeed the case. If you do not remove the virus from Android phone in time, your phone will be attacked or even crashed. What’s more, all your files, including contacts, photos, videos, etc. will also be deleted. In this case, how do you recover deleted files from Android after virus attack? 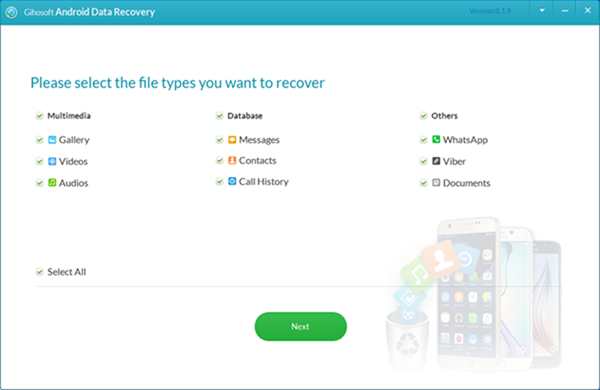 Download, install and run this Android Data Recovery Software on your computer. Select the files types you want to recover from the main interface, then tap OK to continue. Connect your Android phone to the computer via a USB cable, then tap Start to scan lost data. 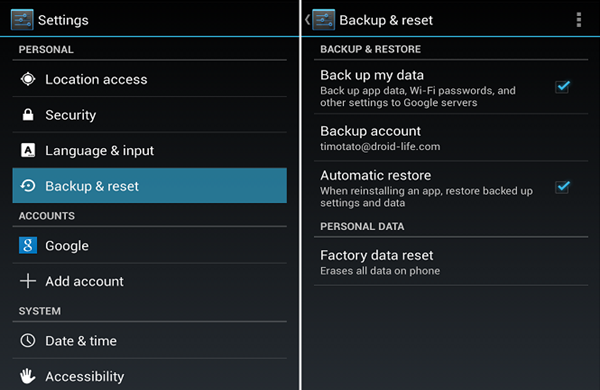 After previewing the lost data, tap Recover to recover files from Android after a virus attack. Tips: Data loss is avoidable if you take effective measures to protect your phone from virus infection or remove the virus from Android phone in time.